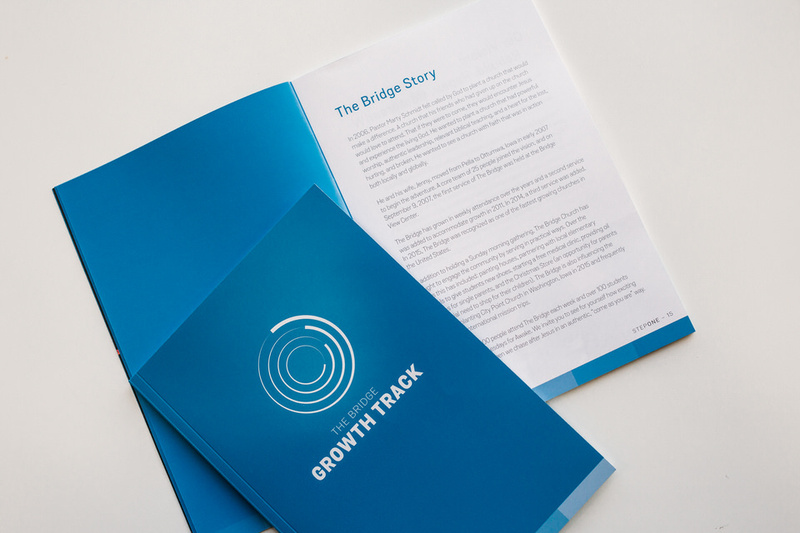 Growth Track is made up of four steps that are designed to help you connect to The Bridge, discover your design, develop your leadership, and join our Dream Team. Growth Track happens every month in four consecutive Sundays, starting with Step One on the first Sunday of the month. Childcare is provided and no sign up is required to attend. We would love to have you join us for the next Growth Track event at your campus. Learn about the past, passion, purpose, and personality of The Bridge and find out how to connect with our church. Step One takes place on the first Sunday of every month. Dive into the details of your personality, discover your talents, and see how your design reveals purpose in life. Step Two takes place on the second Sunday of every month. Find out what it means to be a leader at The Bridge and learn how you can strengthen your character and gifting. Step Three takes place on the third Sunday of every month. Connect to the opportunities available at The Bridge to live out your purpose and make a difference. Step Four takes place on the fourth Sunday of every month. We understand that you may still have questions about Growth Track. Please feel free to reach out!